I was planning on converting my tank bag to a givi tanklock set up, so I bought 5he parts, however I’m taking a different route. 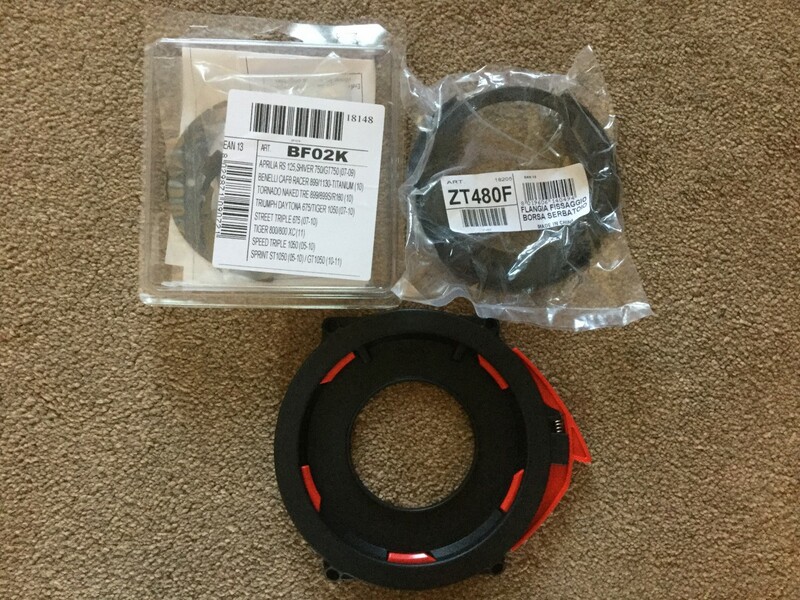 So I’m selling the specific Tiger 800 tank ring, the tank ring flange and the tanklock part that fits to your tank bag. All you have to do is have a way to mount it!